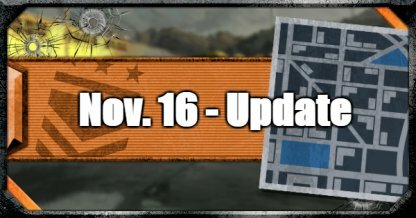 Learn about the significant changes made in the Nov. 16 - Update of CoD: BO4! This includes the 2X Weapon XP Weekend and a number of stability fixes. 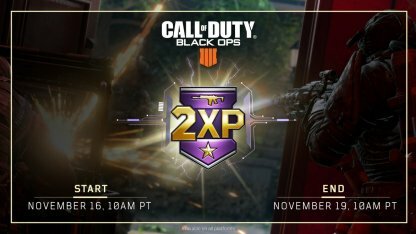 Enjoy double the weapon XP and earn Operator Mods, Clan Tags, and Kill Counters faster with the 2x Weapon XP event! 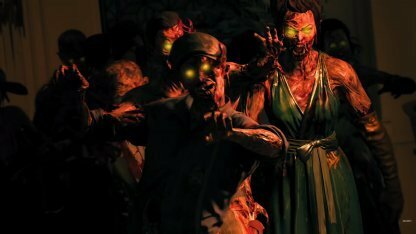 The event is available in both Multiplayer and Zombies Modes. A fix on the bug that causes players to be unable to add Reactive Camos to Signature Weapons on Create-a-Class has been added. Stability patches have been implemented to prevent the game from crashing due to a variety of gameplay conditions. The issues on the Sensor Dart not expiring on time and the sudden decrease of the Razor Wire's health has been resolved. Players will no longer be able to abuse an exploit that will allow them to use a Perk twice in Blackout. The issue on the Mesh Mine Fire Mode mine consumption has also been fixed.